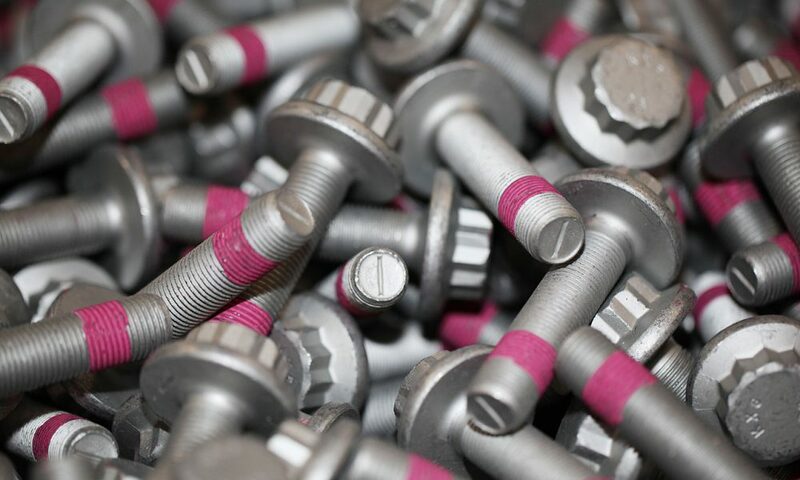 We employ all commercially used surface finishing methods. And, should it be necessary to develop a new process to meet your specific requirements, we do so together with you. Use our wealth of experience for custom and economical solutions. 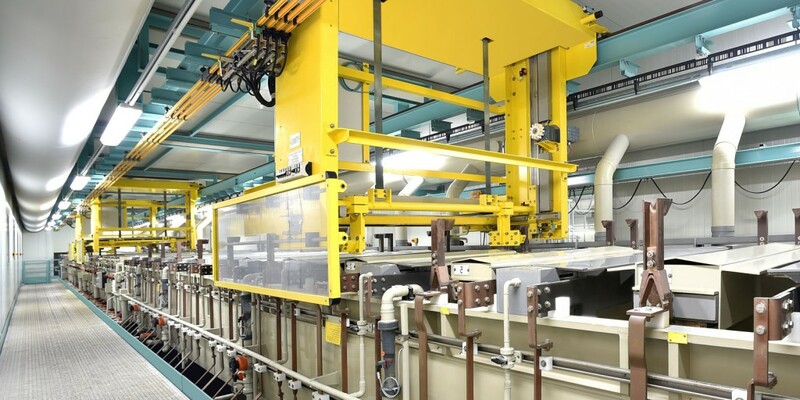 Zinc flake coatings are non-electrolytically applied coatings that offer very good corrosion protection. They consist of a mixture of zinc and aluminum flakes that bonds an organic-inorganic matrix. 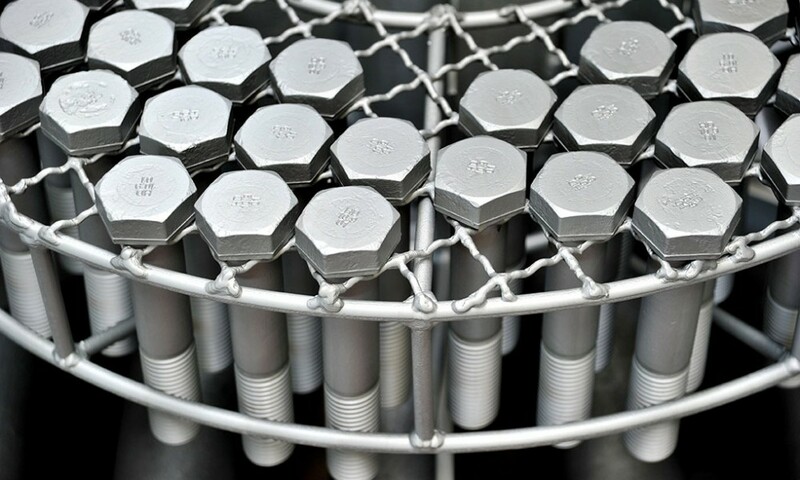 Our product portfolio includes wet-chemical applied zinc and zinc-alloy coatings (zinc-iron, zinc-nickel) which we apply both as bulk material as well as in rack processes. 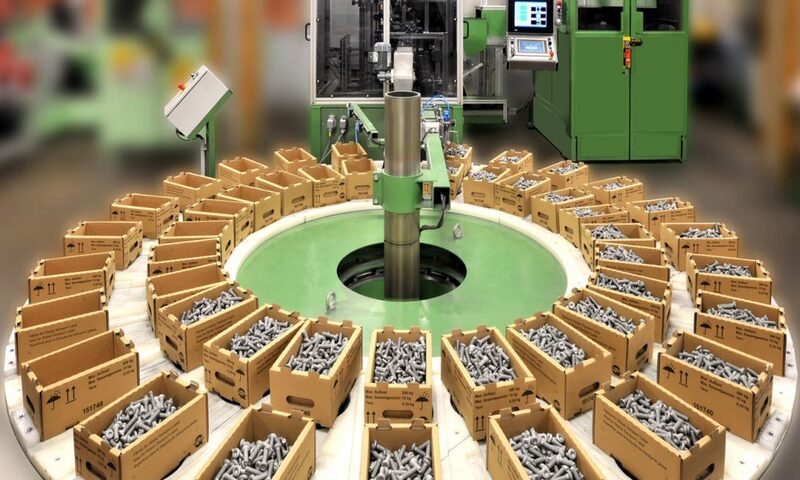 In the presence of certain environmental influences (e.g., vibration, dynamic loading, and others), unsecured screw connections can lose their preload force. Complete failure of the connection is possible. Our thread-locking processes provide connection security. The electrochemical process of cathodic dip painting (CDP) is ideal as a basecoat for painting complicated structures and large quantities. 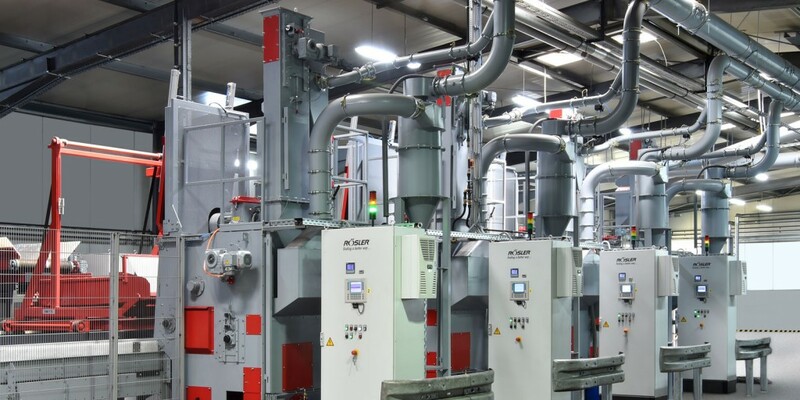 The range of coatable products spans from small parts coated using the drum process to complicated part geometries that we coat in the rack process. 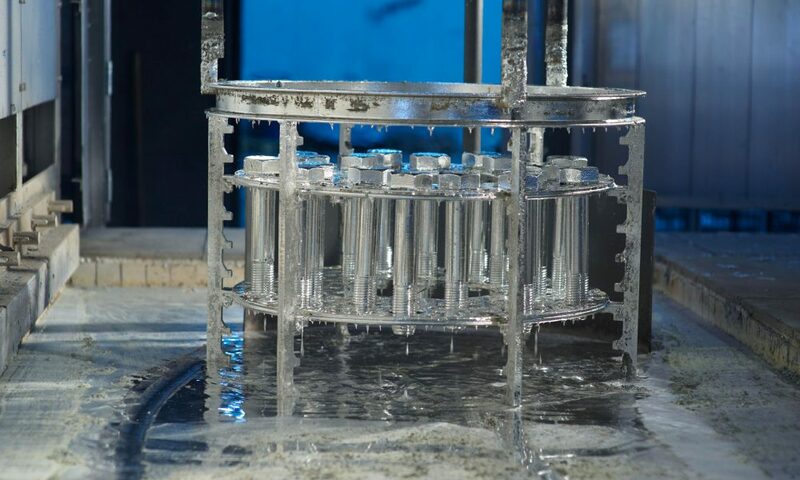 In the area of hot-dip galvanizing, we offer a unique, self-developed coating process using the rack process. 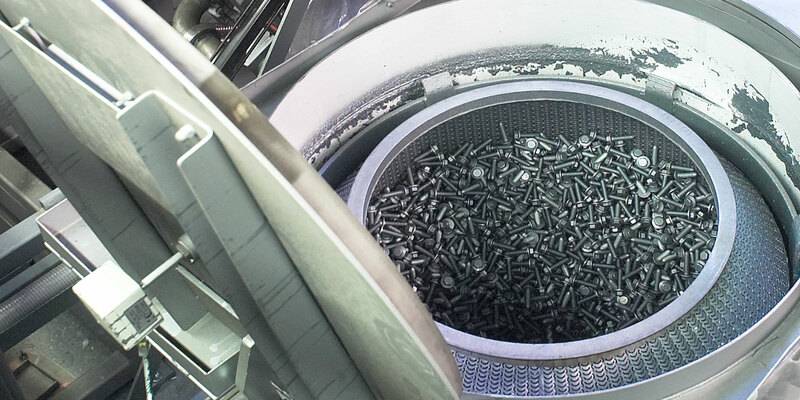 The parts – such as screws for the wind power industry – that leave our system are “ready-to-build.” They can be installed directly with no thread rolling – which can damage the coating. The parts can then be precisely packed in their final packaging at our facility, labeled and, on request, shipped directly to OEMs. This saves you time and costs and increases your degree of value generation. We can “degrease” aluminum parts. “Chemical cleaning including brightening of the parts” is also available as an option. Through subsequent application of lubricant coating or sealant, the parts can be set to the desired friction coefficient window. 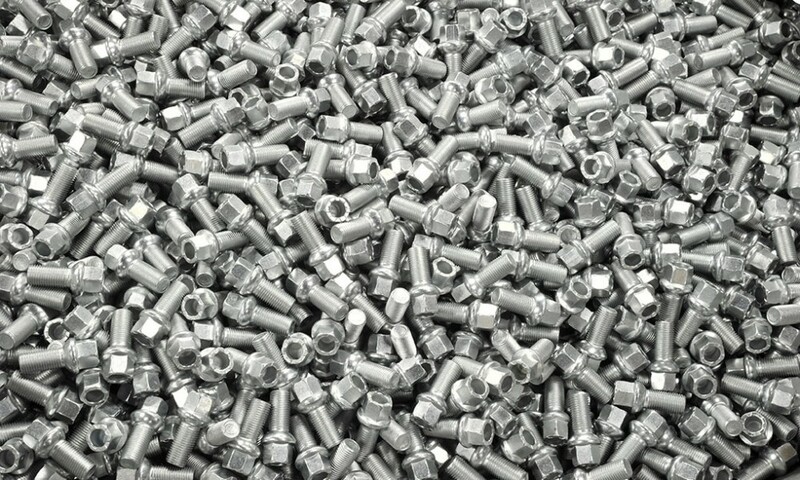 We apply sealants or lubricants to all types of electroplated parts or workpieces with zinc flake coatings. Our standard selection includes more than 60 different sealants and lubricants. 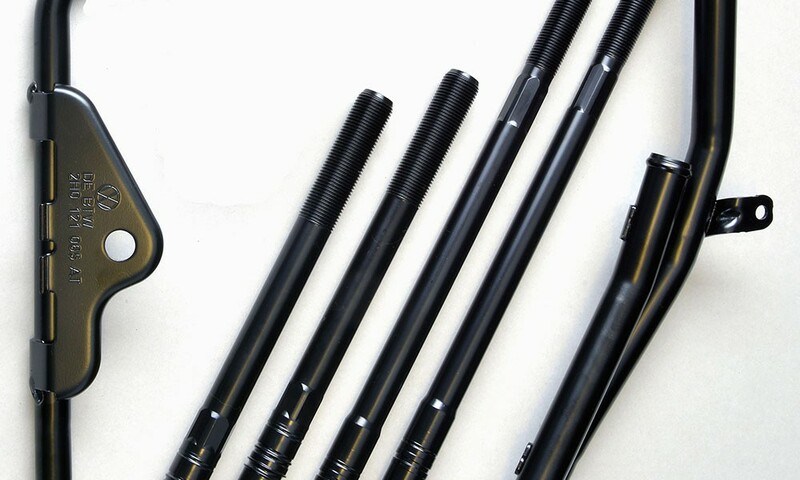 Depending on the application purpose, we coat workpieces partially or apply markings.